Fast precise, reliable, bulk weighing operations for improved productive and efficiency. 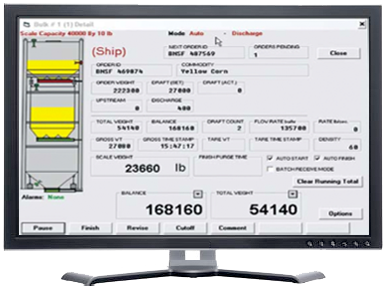 Whether you're loading or unloading railcars, barge ships, or trucks of grain, co-products or processed goods, the oneWeigh bulk scale automation system is designed for speed, and accuracy. With precise hopper system control, rapid draft cycles and intuitive interfaces, the system is simple to use. 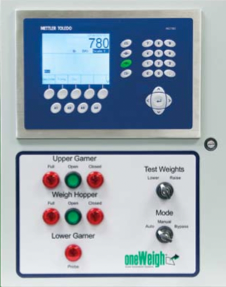 With the rugged 780 bulk weighing controller, RFID tools, North American railcar data, and the integration of the AGRIS V9 business system, the oneWeigh system saves time and effort with maximum bulk scale automation. C & A Scales has installed and supports over 200 systems. Maximize your load and attain target weight precision. Precise control of hopper system, order processing features to prevent discharge of grain, minimal operator intervention improved turnaround times. Save time and keep your operations moving. Reduce cycle time with a oneWeigh controller and eliminate timing with continuous automatic adjustments. Draft size is adjusted with every draft. This eliminates minimum last draft size requirements of older systems. Free up operator with minimal monitoring needs. 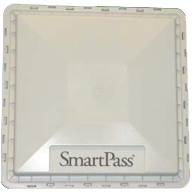 Rely on the RFID-enabled oneWeigh system to start loadout, calculate target weight, finish order, and print the weight certificate.